Not another Fruit Cake or Panettone? What to do? What to do? Well, Christmas is over and it is time to start thinking about New Year's Eve or Day which ever you celebrate. You can put those cakes to good use. This French Toast Pudding can be made from any boxed Christmas bread and it make a terrific easy dessert or a fun brunch dish. 1) Pre-heat oven to 350 degrees. Toast bread either under a broiler or in a toaster. Slice diagonally. Set aside. 2) Beat eggs then add salt, sugar, vanilla and milk and beat until smooth. 3) Lay slices in a 9 by 13 inch baking dish. Pour mixture over the toast and let it sit for at least 10 minutes. Press bread into the mixture to help it soak it up. 4) Bake for 50 minutes or until custard is firm. Let cool. Serve slightly warm or cold. Top it with ice cream or whipped cream for a dessert. It really is delicious for a brunch or a dessert. I've never eaten such toast, but It sure looks GOOD, and I'd loooooove a big slice. It tastes sooo much better than just the plan panettone. Happy New Year to you too Winnie. I am now craving your French Toast! It looks fabulous and sounds even better! Happy New Year, Diane! 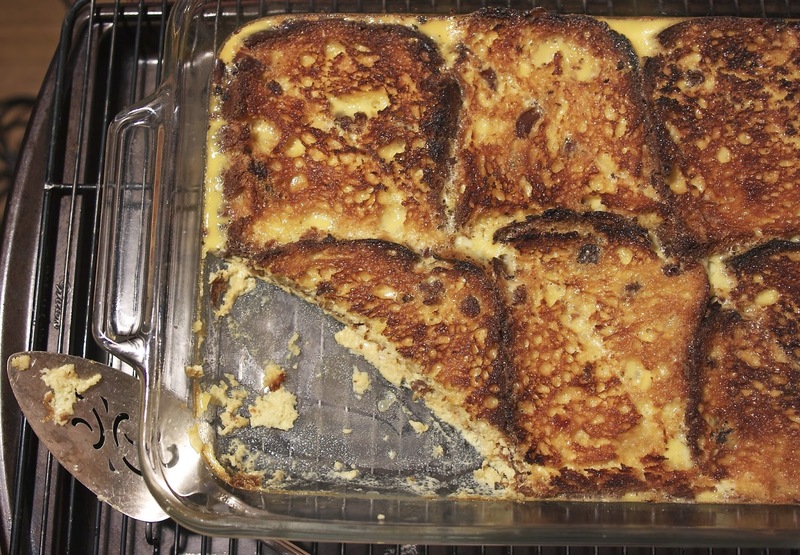 Oh my gosh, your Panettone French Toast looks and sounds mouthwatering, I can't wait to try it. Thank you for sharing with the Clever Chicks Blog Hop! I hope you’ll join us again next week! 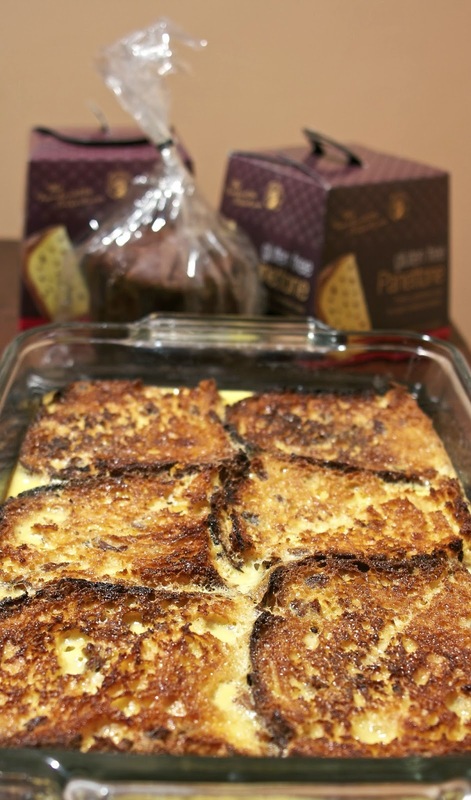 Love this combination of French toast and bread pudding. You clever gal, you!